"Until now, astronomers believed something as small, in relative terms, as a brown dwarf could not emerge unscathed from immersion in the fiery furnace of a dying star. "We've discovered a small failed star called a brown dwarf lying next to another star called a white dwarf and the two are orbiting each other in a tiny orbit of two hours," Dr Matt Burleigh, a co-author of the paper and an astronomer at the University of Leicester, UK, told BBC News. Astronomers have now accepted that planet-like objects floating alone through space carry with them material that could make other planets or moons, something like miniature versions of our solar system. What exactly to call any of these objects and systems remains up in the air, however. But whatever the astronomers end up calling these Dark Stars (and I still think this is the best possible name) the fact is that they exist. 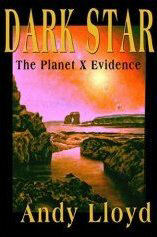 A real blueprint for a Dark Star system has been observed, in interstellar space (5). 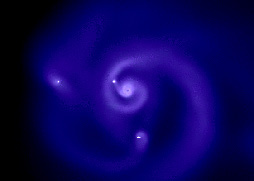 Some astronomers want to call objects like these "planemos". Not very catchy, though, is is? "Analysis of the large particles that travelled all the way to the button of the tracks has revealed a remarkable range of minerals. Some of these particles contain minerals the form only at extremely high temperatures - temperatures that could not have existed where the comets formed. Some of these minerals are similar to "refractory" materials that formed in the hottest, innermost regions of the disk of gas and dust that formed the Sun and planets. If these minerals in the comet are from our solar system then they probably formed close to the young Sun and were transported all the way from inside the orbit of Mercury past the orbit of Neptune. Lee Covino has been keeping an eye on the (lack of ) developments with results from the Deep Impact probe. As previously reported here, scientific findings from the mission have been hard to come by. Relating obliquely to this, Lee sent me an article about a Japanese space probe which is studying the composition of an asteroid. It has discovered that the asteroid was an amalgamation of debris from a previously shattered planet, or asteroid (7). 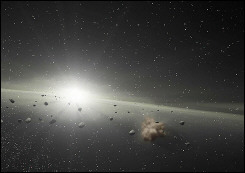 It seems that all the asteroid belt objects may have similarly been sourced from an ancient planet or planets which had disintegrated during the period of the early solar system. Such a confirmation would, of course, take Sitchin's theories about the early solar system further forward. This latest discovery was found in the constellation of Pisces, at a very great distance from the solar system. The brown dwarf shines brightly enough to be imaged at this distance because it is currently very youthful. Give it a few million years and the young fires in this companion failed star will burn out, leaving it a dark ember in space. I suspect that this happens across the galaxy during the emergence of star systems. I believe that the clusters of new stars contain fields of planetary and sub-stellar objects intertwined with the larger stars. As the clusters break up, some brown dwarfs will remain as dark companions, whilst others will float freely in inter-stellar space. Just in case you believed that our Sun was somehow created differently from this sort of scenario, new scientific thinking establishes the fact that the Sun was born in a cluster of stars, and that the Sun had sisters! (9) As such, it would seem no surprise to find out that our Sun has a remnant dark sub-stellar companion orbiting it at a great distance. "Researchers have found what they say are isolated bacterial colonies flourishing deeper in the Earth’s crust than was known to be possible. The strange beings thrive on radioactive water, in a harsh setting cut off from sur­face life and its dependence on sun energy, the scientists claim. That, they add, raises hopes that other planets in our solar system could also harbour hardy microbes within them. “We know surprisingly little about the origin, evolution and limits for life on Earth,” said bio-geochemist Lisa Pratt of Indiana University Bloomington, a member of the research team. The lightweight brown dwarf, first identified five years ago, lies about 500 light years away in a star formation region called Chamaeleon I. Earlier observations revealed large amounts of water in its atmosphere. 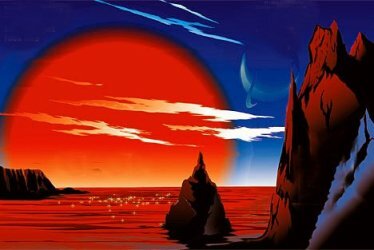 What is more, these would-be planets could be habitable. The surface temperature of the mini brown dwarf is about 2000°C, which means that any planet 1.5 to 7 million kilometres away could maintain liquid water. The disc probably straddles this range. Luhman hopes to find out whether even smaller objects - perhaps as little as five times the mass of Jupiter - can reign at the centre of nascent planetary systems. "It's still an open question as to how small you can go, but hopefully we'll be able to answer that soon." ""The disk is modelled after the Solar nebula," Quintana explains, "we're comparing the planet formation process in these binaries to models of the Solar System." In other words, they are trying to find out what our Solar system might have looked like if the Sun were a binary star. All of their simulations form at least one planet, an encouraging result. It turns out that the most important factor is the companion star's periastron, or point of closest approach to the star with the disk. A companion that gets as close as the orbit of Saturn (about 10 times farther than the Earth from the Sun) removes very little material from the inner disk, and even speeds up the process of planet formation by nudging the planetesimals into different orbits from time to time. A companion star that gets as close as Jupiter (about 5 times farther than the Earth from the Sun), however, will limit planet formation to the hottest central regions. This unusual orbital behaviour is matched by the bizarre shape of this object. Speculation in the astronomical community is growing that 2003 EL61 (initially nicknamed 'Santa') was subject to a violent collision sometime in the past (15). 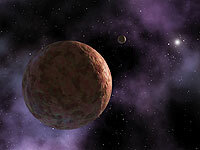 The odds of such an event occurring in the Edgeworth-Kuiper Belt as it is known to exist today are very long indeed. The objects in the belt are simply too scattered to present any kind of risk to one another. Yet, this object appears to have taken a big knock, and may be on of a number of such objects in the belt. 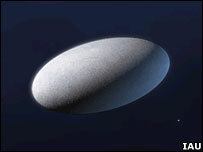 "Flanked by two moonlets, 2003 EL61 measures some 1,500 kilometers (950 miles) across, tumbling over and over at a prodigious rate and pursuing a weird egg-shaped orbit inclined at nearly 30 degrees to the plane at which almost all of the Solar System's objects travel. 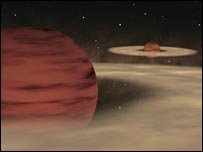 "Astronomers using NASA's Spitzer Space Telescope have observed that planetary systems – dusty disks of asteroids, comets and possibly planets – are at least as abundant in twin-star systems as they are in those, like our own, with only one star. 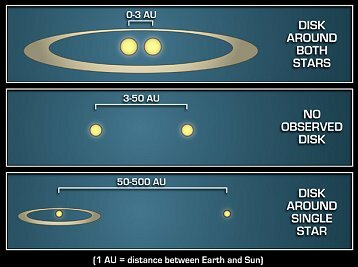 "Since more than half of all stars are twins, or binaries, the finding suggests the universe is packed with planets that have two suns. Sunsets on some of those worlds would resemble the ones on Luke Skywalker's planet, Tatooine, where two fiery balls dip below the horizon one by one. A red dwarf star some 20 light years from us has attracted the interest of astronomers searching for potential life-supporting planets. Gliese 581 has thrown up a new planet, this one lying within the system's planetary 'habitable zone'. Temperatures on this new planet are just right for liquid water to exist on the planet's surface. Where there's liquid water, there could be life. Gliese 581 is much smaller than the Sun, so its habitable zone is much closer. The new planet lies just 6 million miles away from Gliese 581, and travels around the star in just 13 days. They lie so close together that the red Sun would appear massive in its sky. The illustration opposite appeared in the Daily Mail along with their article (17). Note the similarities in design between this last picture and my own painting of the Dark Star from the surface of one of its moons, a painting which appears on the cover of my book 'Dark Star' (opposite). Nice to be making an impression amongst science journalists, finally!! This discovery adds further credence to the notion of habitable 'moons' orbiting dwarf stars, some of which are much more active and exotic than previously thought (see next item below). The search for life seems destined to make its breakthrough amongst the dwarf stars. This is because smaller, Earth-sized planets are more able to be directly imaged and investigated when found orbiting around these smaller, dimmer stars, although the technology for this is several years away yet. Even so, the bookmakers William Hill have shortened the odds on proving the existence of extraterrestrial intelligence from 1,000-1 to 100-1. "A distant star that hurtles through space at extraordinary speeds has a huge, comet-like tail trailing in its wake, astronomers say. The appendage, which measures a colossal 13 light years in length, was spotted by Nasa's Galaxy Evolution Explorer (Galex) space telescope. The researchers said that nothing like it had ever been spotted around a star. They believe the star, known as Mira, will help them to study what happens as stars meet their demise. Mark Seibert, a co-author of the paper, which was published in the journal Nature, and a scientist at the Carnegie Observatories in Pasadena, said: "This is an utterly new phenomenon to us, and we are still in the process of understanding the physics involved." Mira (also called Mira A) has captivated astronomers for more than 400 years. It sits about 350 light-years from Earth in a constellation known as Cetus, and is accompanied in orbit by a smaller secondary star, called Mira B, forming a binary system. Billions of years ago, Mira would have been much like our Sun, but as it now enters its death-throes it has swollen into a type of star known as a red giant. As it races through space at 130km/s (80 miles per second) it sheds vast amounts of material. Yet despite centuries of study, its spectacular tail had remained undetected. Now, ultraviolet images taken by the Galex space telescope have uncovered Mira's unusual feature. "The fact that Mira's tail only glows with ultraviolet light might explain why other telescopes have missed it." The ultraviolet images also revealed a "bow shock" - a region, in front of the star, where hot gas builds up as Mira's stellar wind meets clouds of interstellar gas and dust. "Most known trans-neptunian objects (TNO’s) are either on low eccentricity orbits or could have been perturbed to their current trajectories via gravitational interactions with known bodies. However, one or two recently-discovered TNO’s are distant detached objects (DDO’s) (perihelion, q > 40 AU and semimajor axis, a > 50 AU) whose origins are not as easily understood. We investigate the parameter space of a hypothetical distant planetary-mass solar companion which could detach the perihelion of a Neptune-dominated TNO into a DDO orbit. 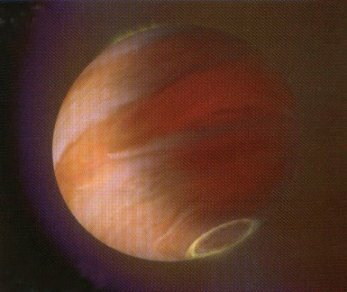 Perturbations of the giant planets are also included. The problem is analyzed using two models. "In the first model, we start with a distribution of undetached, low-inclination TNO’s having a wide range of semimajor axes. The planetary perturbations and the companion perturbation are treated in the adiabatic, secularly averaged tidal approximation. This provides a starting point for a more detailed analysis by providing insights as to the companion parameter space likely to create DDO’s. The second model includes the companion and the planets and numerically integrates perturbations on a sampling that is based on the real population of scattered disk objects (SDO’s).